Would you like a giant blanket, you too? 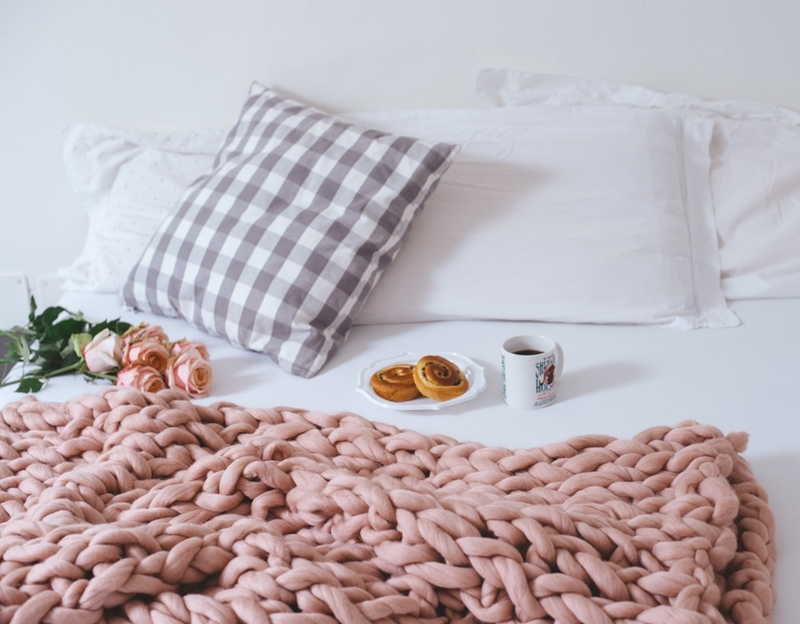 Yes, one of those that have been all the rage on the web for a few years … Those giant, super-warm and enveloping blankets that, with their look make your home cozy and warm, creating a very welcoming atmosphere? These are blankets made with giant yarns, and often without the use of knitting needles, but with the Arm Knitting technique. 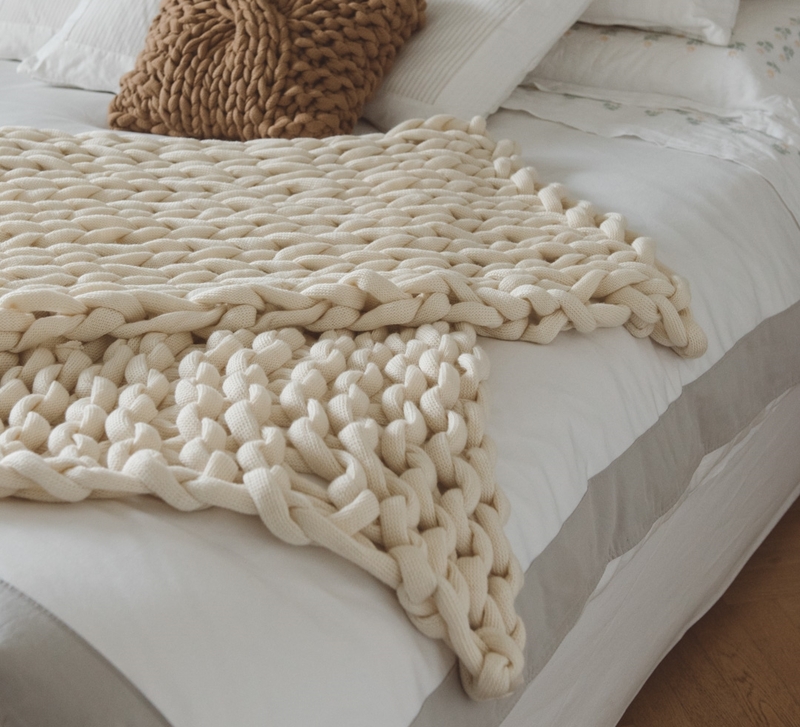 Knitting with your arms is simple, fun and fast: you can make a blanket in about 2 hours! What do you need to knit a giant blanket with your arms? Your own arms! We advise you to free them from bracelets and watches to work better without “catching” the yarn! Big Hero Wool, a giant fiber, made from 100% merino wool hand spun in Italy. It’s a certified yarn, produced in accordance with the highest ethical and environmental standards (we talked about that in this old post). Extra Large, a an even thicker yarn than Big Hero and very special. It’s a “super” soft yarn, padded with soft fiber in 100% Merino Superwash wool! More info here. Let’s see how to create a giant blanket with your arms in no time! Take a skein of Big Hero Wool in your favorite color, among the 12 shades proposed, that you find here. Cast on 20 stitches on your right arm: watch this video to learn how to. Continue in Knit Stitch for abour 25 rows. With this instructions, you’ll get a blanket of about 105 x 120 cm and you’ll need a total of 4 skeins of Big Hero Wool. Your blanket is ready now! Perfect to decorate your home, to give personality to your bed, to snuggle up on the sofa, for when you need a cuddle! Would you want to try, you too? We offer you the chance to buy our giant yarns with a 25% discount. Enter code GIANT25 at checkout within Sunday, November 11th, 2018! We can’t wait to see your projects: do not forget to share them on your social networks with the hashtags ##bettaknit and #ilovebettaknit!